How far do you think can sands go? Well, it turns out, it can even travel hundreds of thousands of miles easily. 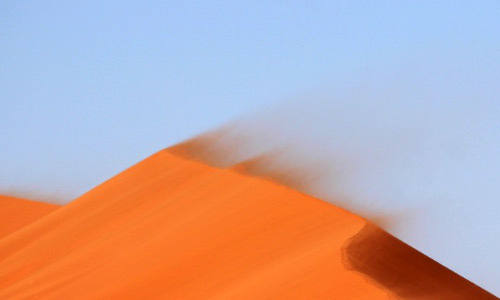 Sands from the deserts of Sahara have suspended thousand miles up in the sky and are carried over to hover in America. So, in the past few weeks the sky in America has changed its colour and the wind has gone dustier. According to NASA’s reports, since the end of June wind has started blowing from Africa’s Sahara Desert. It has travelled more than 5000 miles, across the Atlantic, Caribbean and Gulf of Mexico. Sure, online betting is fun but being aware of going on what’s around you is important as well. It is what will make you a more responsible individual who can make the planet a better place. Every year during the summers, Florida experiences a gush of dusty wind. It comes from a far off land in the Africa. Over millions of tons of dust gets picked up from the deserts of Africa and is carried across the Atlantic Ocean, upsettingmostly the air quality in North and South America. Usually Florida is the most affected area. However, this year the band of dust has spread wider, affecting the south and southwest of America also. According to one of the reports, this year the tropical Atlantic has experienced one of the dustiest week in 15 years. This immense dust does not pose much of a threat to anyone except to people with dust allergies. It restricts the outdoor activities of those suffering from health issues like respiratory problems and asthma. The other aspect that might be considered as a problem is the hazy skies. However some photographers enjoy the misty effect of the sunset and sunrise that present them with immense photography scope. Nature lovers like me also relishes the picturesque beauty of the scattered lights during sunset. Though this plume of dust lingers over America all throughout the summer on a regular interval, it doesn’t cause any other damage than the one already discussed. On the other hand, the benefits reaped out of this sand brown dust is more deep rooted than one can fathom. With thorough research, University of Miami has confirmed that the suspended dust has positive impact on the temperature in North and South America. It cools the ocean temperature by absorbing and dispersing the solar radiation over the tropical Atlantic. This in turn, suppresses the energy required to form hurricanes. If you are wondering how little things can make a great amount of difference, this is another definitive proof for you. The dusty winds have another very significant role to play in favor of America. Each year, a millions of tons of Saharan dust forms sediment on the Amazon River Basin, where it replenishes nutrients in the rainforest that have become depleted by tropical rains. For thousands of years, this African dust has been helping in fertilization of the Everglades.